In the game of poker, slow playing is the tactic of not taking aggressive action when you have a strong hand. The goal is to draw the other players at the table in to keep them playing and to keep building the pot, with the intent of beating everyone in the end after luring them in and cashing in on their chips. It’s not a bad strategy…unless you get burned in the end and someone gets “the nuts” on the river, at which point the tables have been turned, you lost a large stack of chips, and now you find yourself fighting to stay in the game. In a recent LA Times article, “Employers wait longer to hire, waiting for perfect candidate,” it is noted that despite an improving economy, employers are slow-playing their hiring process taking an average of 23 business days to hire someone for a position. In 2009, this process was only 15 business days. Another article from AOL Jobs, “4 Million Openings: Too Many Employers Await ‘Ideal Candidate’,” reiterates the facts from the LA Times article and goes on to state that employers fear making a bad hire, and that discrimination against the unemployed runs rampant. In my experience working with civil engineers and civil engineering employers across the country, this concept holds true as well. The economy has crushed the confidence of so many employers over the past five years that they have become very hesitant to “pull the trigger” in hiring new employees…and rightfully so. Slow playing the hiring process when you have a candidate that rates an “8” on a scale of 1-10 while waiting for a “10” to come along will most often result in one of your competitors coming in and swiping your “8” candidate and leaving you with ZERO. You’ve wasted a whole lot of time, you’ve wasted a lot of money (lost productivity, travel, etc), and you’ve still got an empty office or empty cubicle. A. 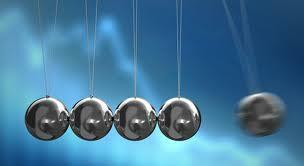 If you constantly “slow play” your hiring process waiting for the perfect “10,” your business will never grow. The candidate pool is scattered with some really good, but short of perfect, candidates. Perfect “10’s” are few-and-far between, so if you sit on your hands waiting for that candidate to walk through the doors, well, you’ll likely get pins-and-needles in your hands before too long. B. A strong manager may be able to turn that “8” into “10”. That said, always be on the look out for mentoring or training opportunities to make your leadership even stronger. C. Have a hiring process in place, just don’t “wing it.” Have some sort of database that tracks candidates and their skills; allow access to share outlook calendars among employees and keep them up to date so scheduling interviews is a “snap”‘; prepare for the interview with the candidate with the same vigor that the candidate has ideally prepared for you; should the interview go well, be prepared to schedule the 2nd meeting right there on the spot; have an offer letter template that you are able to personalize based upon the candidate and the role you are offering them. Those are just a few ideas. D. Begin checking references early on in the process if possible. A game of phone tag often persists when checking references, so the earlier you start, the more quickly you can make an offer following the interview. This keeps the momentum of the process going and greatly reduces your chances of the candidate being swiped up by a competitor during the interim that normally exists between the final interview and offer stage. E. If the candidate has met with more than one person during their interview, be prepared to gather as a group and exchange thoughts with each other within 24 hours. Put it on your schedule. Failing to officially schedule this debrief with the hopes of catching up some time in the near future when everyone just happens to be in the office at the same time is a recipe for disaster. Especially in an environment where everyone is spread so thin…be sure to put the debrief on the calendar. F. Don’t be so quick to shove aside an unemployed candidate. Some people really do just get the “short end of the stick”…really. If their resume shows progression and stability up until the point they were laid off, you may just have yourself a diamond in the rough! I’ve slow played in poker before with the allure of building up the stack of chips on the table and cashing in big…what a great feeling! But I can’t play that way all the time. The same holds true with hiring…every once in a while you may slow play the hiring process, buying time until that rainmaker of a candidate appears…and what a great feeling! But that does not happen all the time, so when a good or really good candidate that falls short of “perfect” is within sight, don’t be afraid to go all in! Today’s entry is the first in a series that I will be writing aimed at helping those executives in the AEC community understand why they might be losing out to the competition when competing for great candidates and top talent. Having recruited civil engineering and architectural professionals for over 15 years I have witnessed some fantastic interviewing and hiring processes; I have witnessed some miserable ones as well. Most processes fall in the middle of that spectrum, so by understanding what you may NOT be doing and making some subtle (or not so subtle, depending how poor your process really may be) changes may help you reel in a higher percentage of top talent rather than losing them to the competition in the building down the street or the floor below! The Red Carpet: If you are not rolling it out, candidates will not roll in. A. First Impressions. Have a clean and organized office exterior and internal reception / waiting area. We are dealing with engineers and architects here – they design exactly where water and dirt should go and they design beautiful bridges and buildings. They expect a clean cut and organized facility and reception area that is designed and maintained with pride. Unmaintained landscaping and cobwebs in the corners don’t make for great first impressions. B. Greetings. Have the receptionist make them feel welcome and let it be known that they were expected. Have the receptionist greet him or her with a hand shake and maybe hand them a prepared folder with corporate marketing materials. That way when they leave and are at home they have constant reminder of how great the interview went (hopefully). Also, don’t make them wait more than five minutes. And when you are ready to meet the candidate, don’t have the receptionist bring them back to a meeting room or your office – come out and get them yourself! C. Level of Comfort. Make them feel comfortable throughout the interview process by introducing them to some other folks that they could be potentially working with, and be sure to show them around. Some companies may have just the hiring manager interview a candidate, and maybe one other person. The truth is, they will feel much more comfortable at least getting to know some of the other folks they will be in the trenches with as well as what the physical work environment is like. This will help them actually envision themselves working with your civil engineering or architectural consulting firm…not to mention that you will get to see them interact and some extra sets of eyes and ears will allow additional perspectives and feedback regarding the candidate from your team. D. Making Arrangements. If you are bringing someone in from out of town, have a system in place that allows for YOUR company to make all the arrangements rather than having the candidate make those arrangements themselves only to submit their receipts for reimbursement. This includes flight arrangements, shuttle service, car rental if necessary, hotel arrangements, etc. E. Thank You Letters. Send the candidate a thank you letter; if not first, at least in a detailed response to the thank you letter that the candidate should have sent you. Trust me – this is not done very often at all. Some may think this is an example of a company showing their cards too early and may hurt them should offer negotiations ensue. I disagree. To me, this is an example of “continuously closing” that I will touch on at a later date. Personally speaking, if I was a candidate and I got an email from a prospective employer thanking me for MY time and sharing with me some of their thoughts on our interview, I would be flattered and encouraged, and I would feel great! 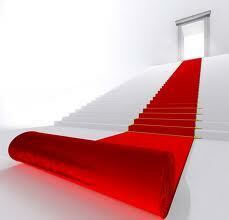 How does your company roll out the red carpet? Or, as a candidate, what are some examples where you have been given what you consider to be “red carpet treatment during an interview process that you went through?